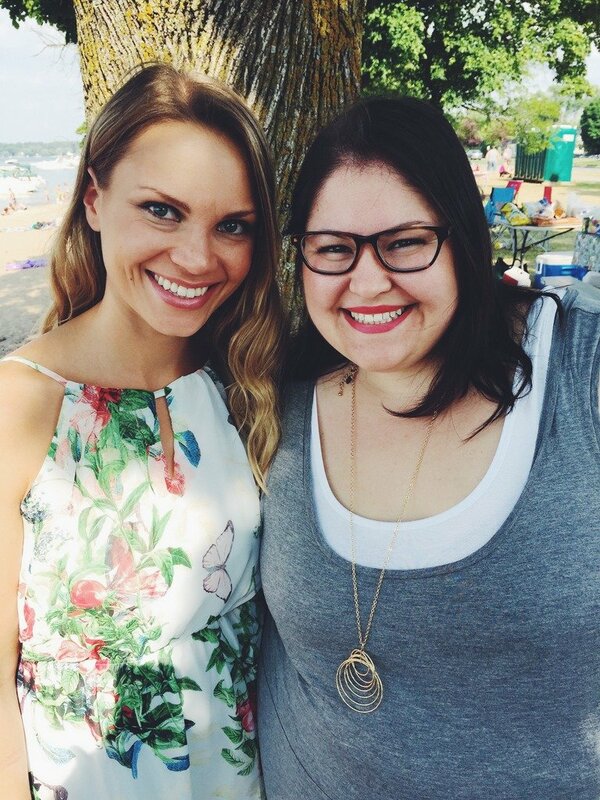 About a month ago, I attended #SharingbytheShore, an intimate food blogger retreat held in Traverse City, Michigan. 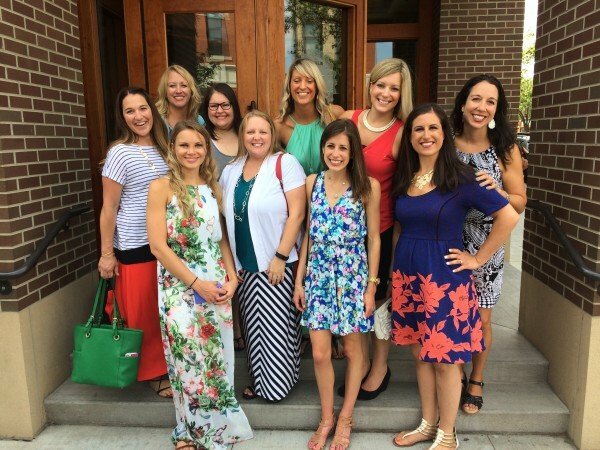 Over the past year, I’ve been to a few blogging retreats and always had a positive experience; this trip was no different. You might be wondering why food bloggers have retreats. Well, it gives us the chance to connect, learn more about one another on a more personal level, laugh, eat, and share our blogging skills/experiences. Every one has a different work style, reason they blog and what they’re passionate about. Like any other industry, it’s important to get together and learn from one another (similar like you would at a conference). I loved this retreat in particular because we were in such a gorgeous destination. Before attending, I had never been to Michigan before (except the Detroit airport). It was a five hour drive from Chicago and couldn’t have been more beautiful. And, the entire retreat was sponsored by Milk Means More — we couldn’t be more thankful for having such a kind, generous sponsor help us learn from one another. The first night we stayed in and cooked fajitas. 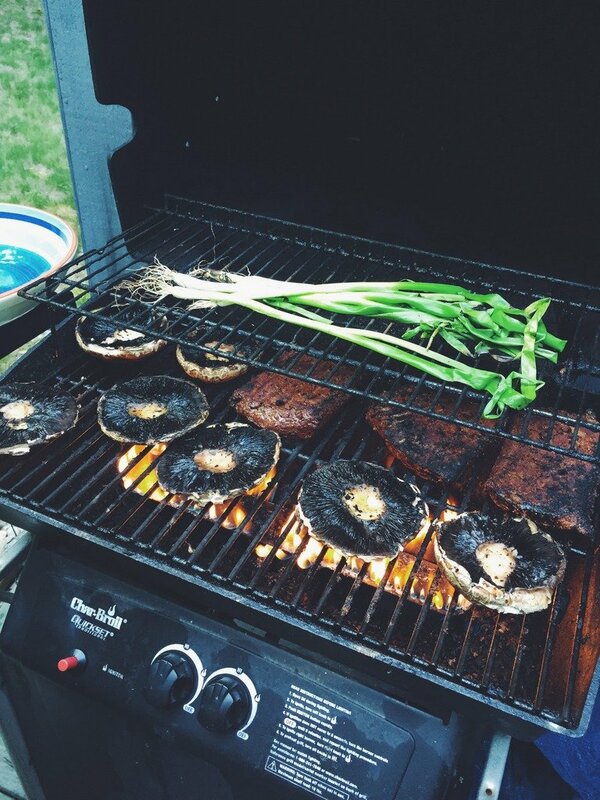 Brandy manned the grill and made a combo of chicken, steak and portabella mushroom (provided by Door to Door Organics). The next evening we stopped in town to check out some great stop at Cherry Republic in Traverse City. Seriously it was amazing! There was cherry wine, cherry pizza, cherry candies, cherry tortilla chips, cherry EVERYTHING. I even purchased some spicy cherry BBQ sauce for Tony’s parents! Best of all, Traverse City is all on the water. You can kind of see it in the background of this picture. 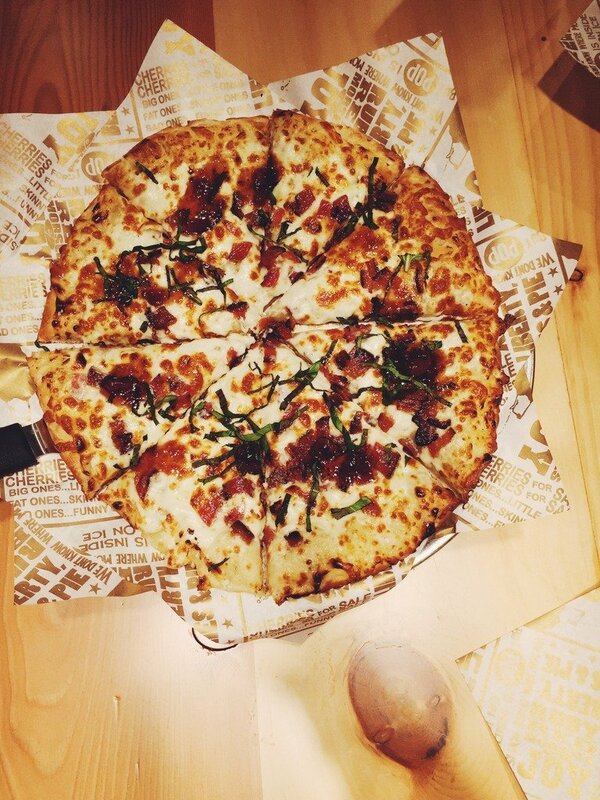 Here’s a picture of the blue cheese cherry fig bacon pizza from Cherry Republic. Such an insanely delicious combination that I might have to make it again. We also ate at Aerie in Traverse City, which was fabulous. 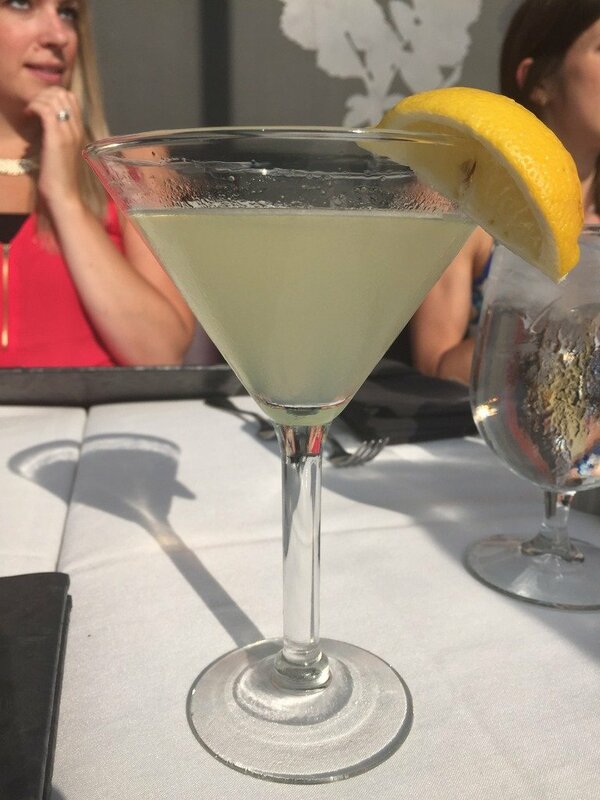 I enjoyed roasted chicken, dark chocolate sorbet and this delicious looking drink. We really did have the best time together. ALSO! I almost forgot to mention that we had a waffle bar one of the mornings filled with fresh fruit, yogurt and crispy golden waffles. I haven’t stopped dreaming about those waffles since, and obviously I needed to crush that craving. 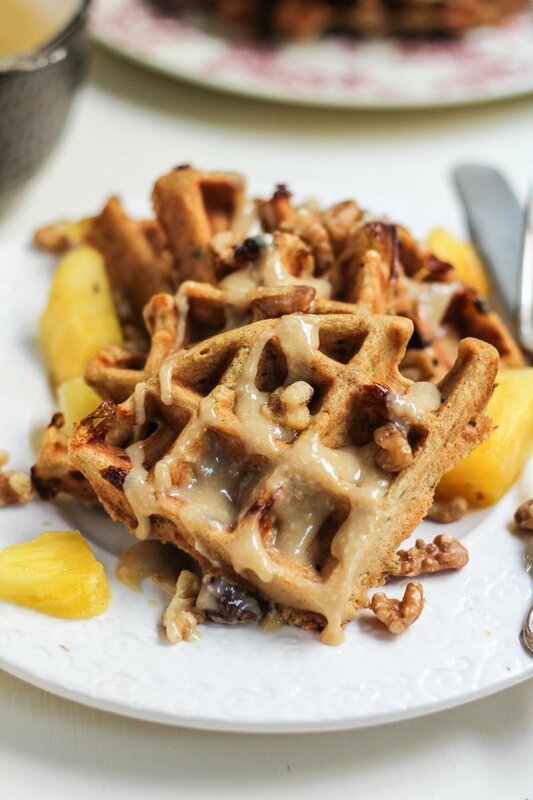 So… I present you whole wheat waffles, but not just any whole wheat waffle — ones that are jazzed up with carrot cake and pineapple flavors. Plus don’t forget about a simple MAPLE CREAM CHEESE GLAZE. Not trying to shout at you, but just seriously excited about how much it takes these waffles over the top. You need to absolutely make these waffles ASAP. I upped the protein in the recipe by using a low-fat plain Kefir (packed with probiotics) but you could sub buttermilk if you’d like. 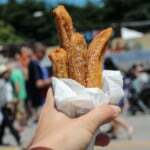 Sometimes I add in 1/2 cup of zucchini to the batter too — but no more! Best of all? These are freezer friendly. Yep, you can make the waffles ahead then pop them in the toaster when you have a serious waffle craving. 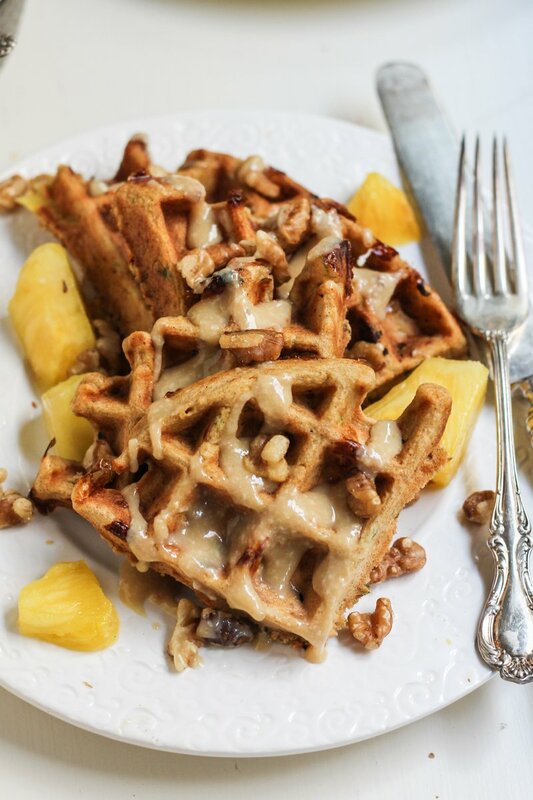 Amazing whole wheat carrot cake waffles packed with pineapple and nuts (if you'd like). 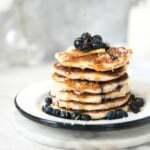 Top with a light maple cream cheese glaze and you've got yourself a decadent, yet still healthy breakfast! In a large bowl, whisk together flour, baking powder, cinnamon, nutmeg, ginger and salt. In a separate large bowl, stir together carrots, maple syrup, coconut oil, vanilla and eggs until well combined. Slowly stir in Kefir. Add wet ingredients to dry ingredients and mix until just combined. Slowly fold in pineapple (and nuts/raisins, if you are using). Spray waffle iron generously with nonstick cooking spray then about 1 cup of the batter in to the iron and spread out a bit to the sides. Cook waffles according to the manufacturers instructions. While waffles cook, in a small saucepan, add maple syrup and cream cheese and place over low heat; stirring until it becomes smooth and creamy. Once waffles are done cooking, serve with a drizzle of the maple cream cheese glaze. Makes 3 large belgian waffles, 6 servings total (1/2 belgian waffle each). 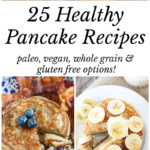 Nutrition does not include the pecans, raisins or the maple syrup glaze (all optional). If you like, you can sub 1/2 cup of carrots for 1/2 cup of zucchini -- it's delicious! Thanks also to the following brands for providing us goodies during our retreat – Door to Door Organics, Sabra, Traverse City Tourism, Bob’s Red Mill, Bonne Maman Jam, KitchenIQ, Fair Trade USA, Printable Wisdom, More Sprinkled Joy, KitchenAid and Le Creuset. 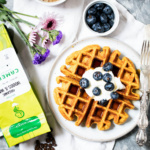 30 Responses to "Whole Wheat Pineapple-Carrot Cake Waffles with Maple Cream Cheese Glaze + my trip to Traverse City, Michigan"
Looks like you had a fun trip. And that pizza looks delicious. I’m excited to try the maple cream cheese glaze. 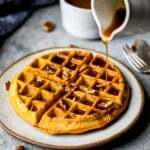 As someone who isn’t a huge fan of syrup but loves waffles it will be nice to try mixing it up and using something other than peanut butter. Wow what an awesome waffle! Never thought of a carrot cake waffle before! These waffles look phenomenal! 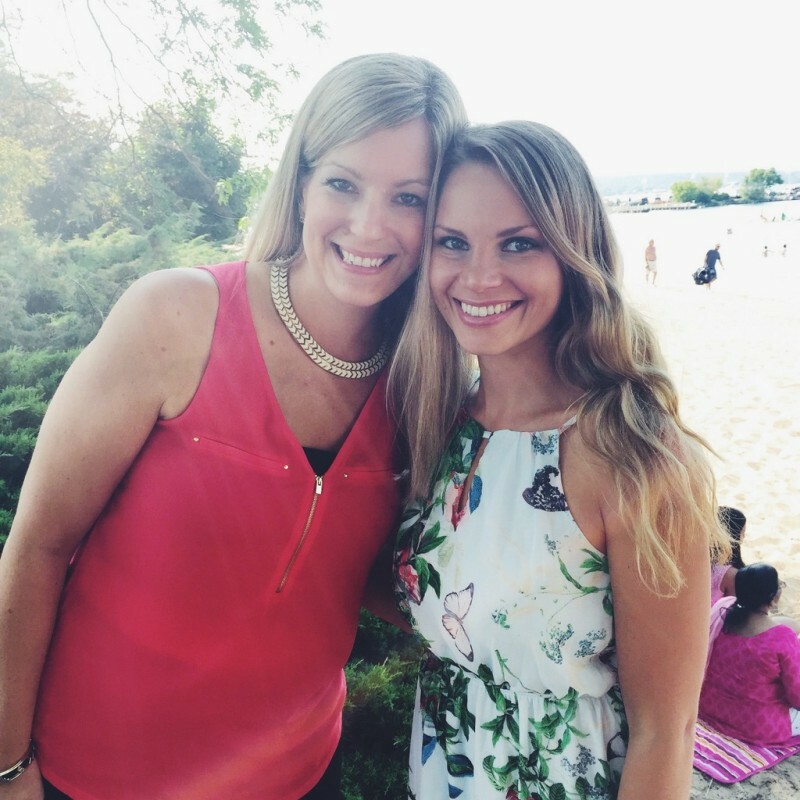 Thanks for coming to MI for our retreat – I’m so glad we got to spend some more time together. Let’s do it again next year. Love ya! There is so much YES in this recipe that I don’t even know where to start. Also, you’re really motivating me to crawl out of my cave and join the blogging world at large 😀 Looks like it was a great time! Waffles look delish! I must ask, where did you get that maxi dress? This is a great recipe, and I especially LOVE the glaze (I might have to shout a little)! Also love that they’re freezer-friendly! These are the most unique waffles I’ve ever seen! Can’t wait to try them. P.S. Love your dress, adorable! 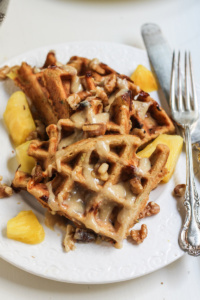 Carrot cake waffles?! and maple cream cheese glaze?? That sounds amazing! So warming, sticky and spicy – perfect for autumn. Your food bloggers retreat sounds like so much fun too – good to have a weekend away with like-minded people! First of all, these waffles look beyond incredible. Second, would you believe I grew up in Michgian my entire life and have never been to Traverse City?! I’ve been all around it, but never actually there. Crazy. 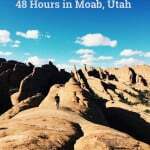 So jealous of your trip! It looked amazing. What a great retreat! Wouldn’t it be amazing if there was a large blogger retreat in LA? I think that would really revolutionize the power of blogging! 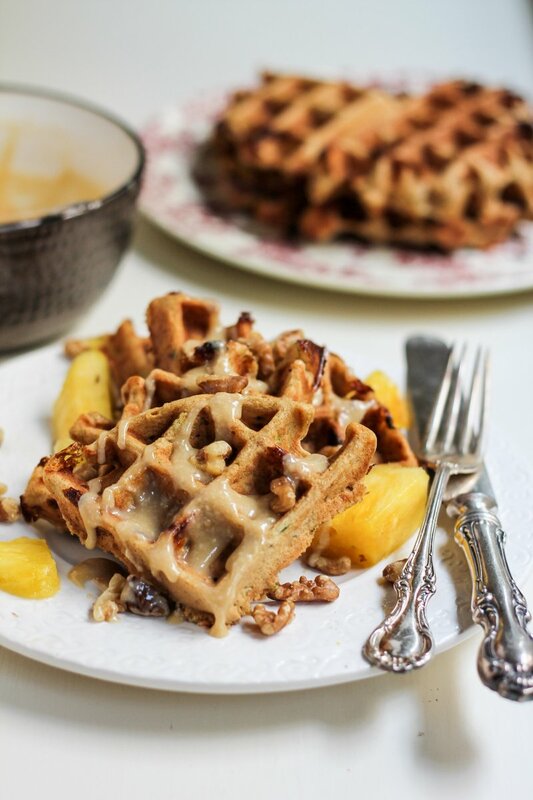 Anyways, these waffles look to die for–in fact, I’m making waffles tomorrow and can’t wait! My favorite kinds of waffles and I eat it every day! I have never used carrots in a waffle! I’ll try this recipe for my son. The fact is that he loves carrots. I’m sure he’ll love carrot cake waffles! They look both delicious and full of nutrition. Can’t wait to make them for my kids. They will love it, thank you so much ! This is a great recipe Monique. It looks very delicious. Thank for share this post. These waffles look astonishing! Thanks for such a detailed article with all the photos! thanks you so much for this cake. 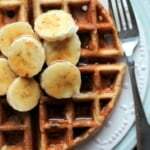 Thanks, Monique, for sharing such a delicious and yummy waffle recipe. I and my daughters love waffles, and we eat every day. I can’t wait after sees your recipe and images to make it today.